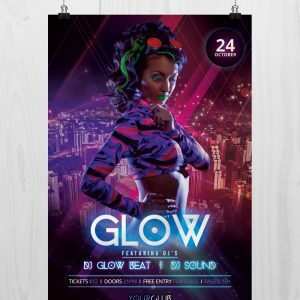 Can you feel the beat looking at this free printable Glow Party Flyer PSD template? 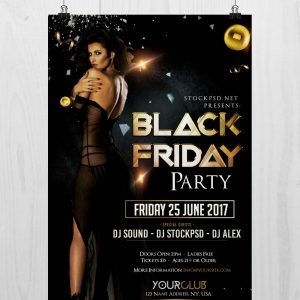 Dark and electric blue colours in combination with eye-catchy bold fonts will definitely help you achieve the needed hype and interest to your upcoming nightclub party event. 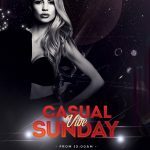 It can be used both as a promotional leaflet or a nightclub invitation. 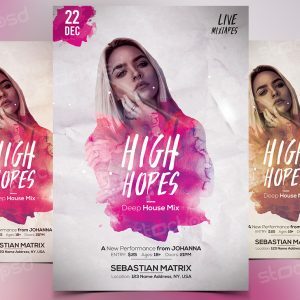 This free party flyer template in PSD comes with a bonus – a free Facebook Event Page PSD template that is designed in the same colours and style. 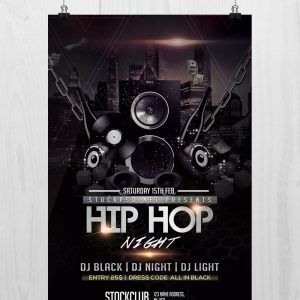 The feel and look of this flyer can be changed with the help of Photoshop in a matter of minutes. 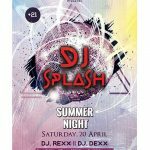 You can add your photos, text or other graphics, as well as remove any existed element. 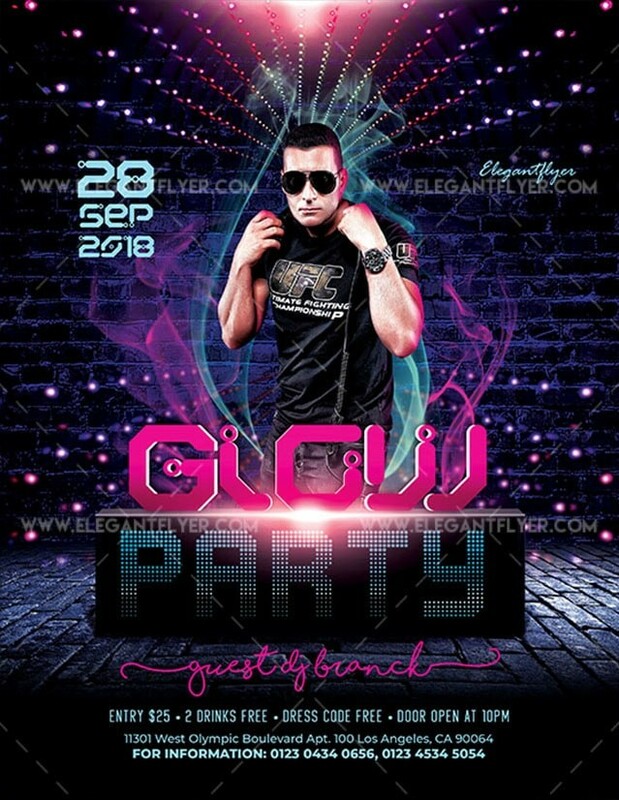 Just add your party event date, edit the title to make it more attractive, add an eye-catchy photo and you have a custom print-ready flyer design ready to spread the word about your hot nightclub party event.